I like classic looks. Classic tanks make frequent appearances in my style choices throughout the year. Even in winter, and even though it's cold. After all, that's what outerwear is for! Well friends were having a Whiskey night and I, being myself, couldn't bring myself to wear sensible snow clothing because I hate sensible snow clothing. I went with this classic, blue jeans and tank top look and then added some great accessories for flash. The jeans are the Diva cut by old navy and I wanted to highlight them because they are amazing! If you're a fuller figure lady like myself, then you might know that denim gets tricky, especially the skinny leg, and being short as well I always find it tough to wear pants that fit. I'm 5'3 but my legs are long and my torso is shorter, for this reason often petite jeans are not my thing. They stop too short, I find with the Old navy it's easy to cuff them and they look great in the dark wash. No hem required! I created a similar set on Polyvore so if you want to shop my look, you can! 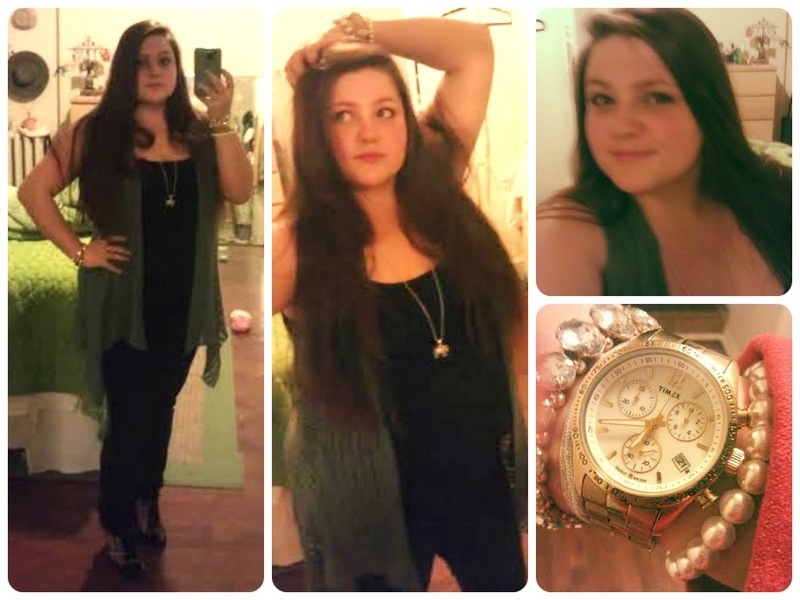 Enjoy and please let me know what you think of my #ootd. So cute! I love the watch. I just got a Swiss Army one, but there are too many cuffs, so I've been needing to get it to a watch store to get them to take a few out. Can't wait to be able to wear watch!